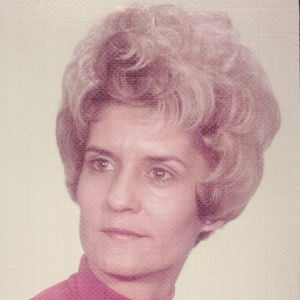 Cornelia Mae Packer Hester, 83, of Clarkton, passed away on Saturday, January 26, 2019. She was preceded in death by her parents: Clarence and Ada Packer; three brothers: Odell Packer, Levy Packer, Roy Lee Packer and sister: Elouise Dent. Cornelia leaves behind her husband of 50 years, Billy Hester of the home; sister: Thelma Taylor of Lumberton and many nieces and nephews. Cornelia graduated from Southeastern Community College in Whiteville, NC with the class of 1974-1975. Upon graduation from college, she practiced nursing at Bladen County Hospital for several years. She practiced nursing at Bladen Surgical Clinic for several years and Veeder Root for approximately twelve years. Cornelia was employed by Taylor Manufacturing for approximately four years. Upon retirement, she served Dr. Stephen Bridgers' office as needed. She also served Bladen-Gaskins Funeral Home as a funeral attendant for fifteen years. Outside of nursing, Cornelia enjoyed hostessing bus tours with Carolina American Tours. She was also a member of the Red Hat Society and was the pianist at Salem Pentecostal Freewill Baptist Church from sixteen years of age until 2016. The family will receive friends at 1pm on Tuesday, January 29th at Salem Pentecostal Freewill Baptist Church in Clarkton with a funeral service at 2pm. Rev. Leroy Wright and Rev. Bobby Smith will be officiating services. Burial will follow in church cemetery. In lieu of flowers, memorials may be made to Salem Pentecostal Freewill Baptist Church 9494 Mercer Mill Brown Marsh Road Clarkton, NC 28433 or Healthkeeperz 508 E 3rd Street Pembroke, NC 28372. Add your thoughts, prayers or a condolence to Cornelia's guestbook.